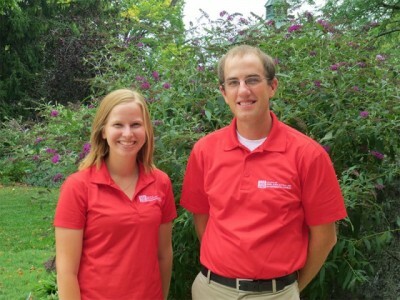 Congratulations to CFAES students Michael Hannewald, a senior studying sustainable plant systems (specialization in agronomy, agribusiness minor), and Stephanie Verhoff, a senior agronomy major, plant pathology minor. The American Society of Agronomy, the Crop Science Society of America and the Soil Science Society of America recently named them two of this year’s 22 national Golden Opportunity Scholars. Click here and scroll down near the end for the press release.